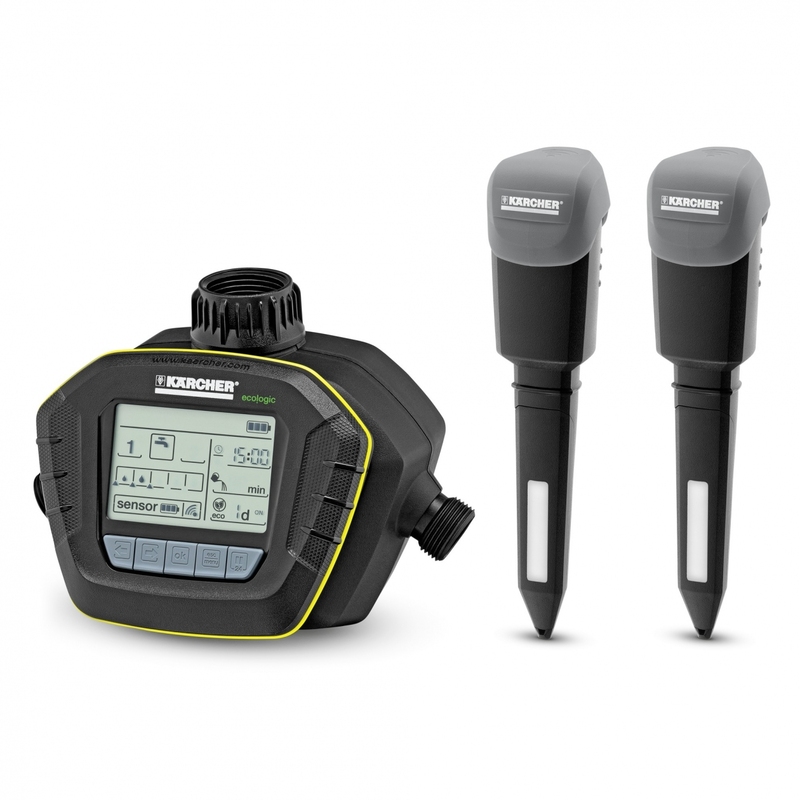 The Kärcher ST6 Senso Timer DUO is an intelligent watering system, using patented sensor technology to measure the moisture level in the soil, so it gives your plants exactly the water they need. It’s easy to set up – simply connect the base unit to your outside tap and hose, and it will communicate wirelessly with the two moisture sticks in the soil. When the soil in your garden drops below the preset required moisture level, the base unit will activate watering at the next preset watering time, activating your irrigation hoses or sprinkler automatically. There are five moisture levels to choose from, and you can water twice during different periods of the day. With two Senso sticks, different levels of mositure can be set in two different areas of your garden, so it’s ideal for plants that need more water than others. There is also a 24hr delay button for those times when you’d prefer not to get wet, for example when you’re having a barbecue. This innovative system takes care of daily watering so you can have more time to relax and enjoy your garden, and also keeps your plans perfectly watered even when you’re away on holiday. Need-based watering of various microclimates. Interruption of watering for 24 hours.